Having a professional help you with tree removal can make the process easier and more effective. Because there are companies of varying quality, it’s important to be diligent about your vetting process, so you land an expert ally. To guide you through the hiring process, here are several frequently asked questions that are typically directed at prospective tree removal specialists. The most important determination to make is whether you’re working with a licensed tree removal specialist. That certification will ensure the crew has the proper training and knowledge to handle your trees with the appropriate care. If a company is reluctant about discussing their license, move on to the next candidate. It’s also worth checking whether the company has liability insurance and a workers’ compensation package. If they don’t have it, you could be liable for any accident or injuries that occur during the job at your property. What’s Included in the Job? Not all tree companies provide the same set of services. For instance, a crew might take down your tree but not be available to remove it. Before proceeding, find out exactly what you can expect from the professionals, including how much it costs. The answer to this question will vary widely depending on what your actual needs are. Pay attention to how carefully the technician explains what will be done and typical timelines. If they are abrupt and say it will be a quick process, you’re likely not dealing with a trustworthy company. 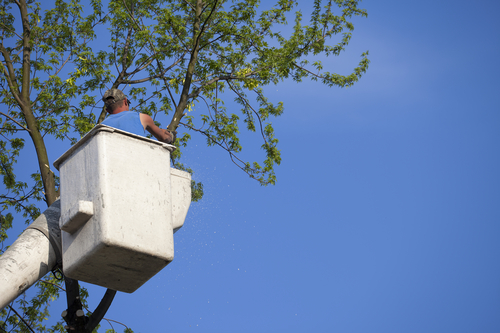 For the highest quality tree removal services near Anchorage, AK, locals know to rely on Alaska Hydro Ax. Offering everything from tree stump removal to complete land clearing, the professionals provide swift and complete service. You can schedule an appointment by calling (907) 243-6200. Learn more about their tree removal services by visiting their website.